This was one of the first concepts I developed for my thesis film back in August/September. 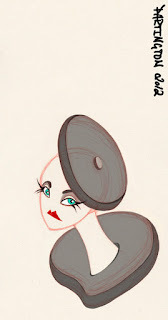 Very fashion-heavy. 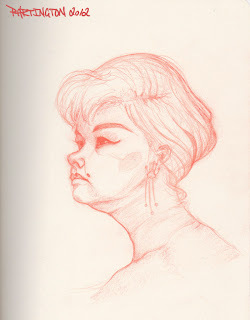 The lovely and talented Etta James passed away today. Another sketch that needs to be colored. Working on my film and feeling somewhat homesick. 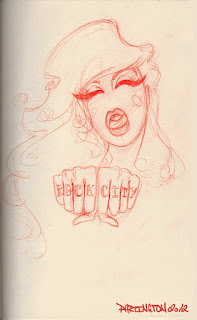 Here's my take on Porcelain Black. I'll get around to inking and coloring when I find some spare time (does not exist). Fashion156 featured some of my illustrations on their website! Here's the link to the article.